On the 20th January 1992 the Water Services Corporation was founded by means of the Act of Parliament No. XXIII of 1991. During its 20 year existence, the corporation has transformed the quality of drinking water and how it is produced and distributed. Fifty-seven percent of Malta’s potable water is produced by three reverse osmosis plants whilst the remainder is pumped from underground aquifers. The electricity consumed to produce a cubic metre of water is nowadays much less than used to be consumed just a short decade ago. Infrastructural leakages too have been reduced by such a large amount that we are now producing less water than we used to in years past, whilst still meeting a much greater demand. One of the WSC’s most significant milestones was, however, the incorporation of the former Drainage Department in 2004, making it responsible for the complete water cycle from production and distribution of water, to the collection and treatment of wastewater. 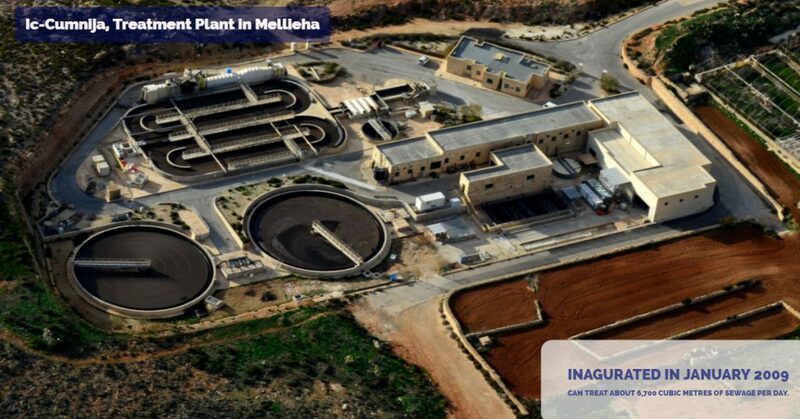 From 2005 to 2011 three completely new wastewater treatment plants were constructed, one in Gozo, another in Mellieha and the ultimate one at Ta’ Barkat which became fully operational by the end of May 2011. 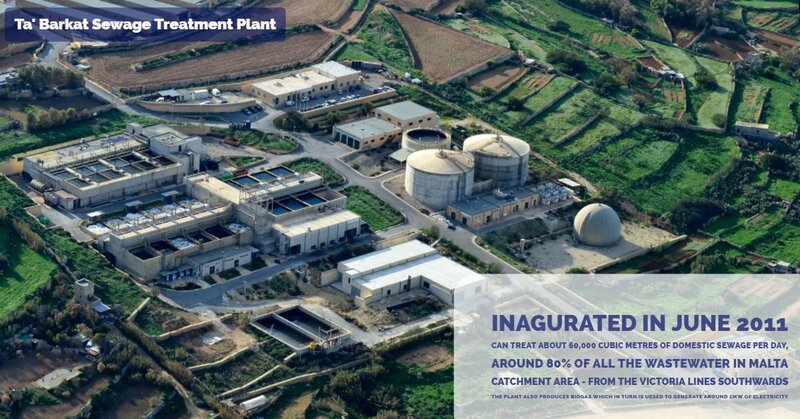 So for the first time ever, Malta is treating 100% of its wastewater prior to being discharged at sea. Malta is the first country in the Mediterranean and only the seventh in Europe to reach this goal. The story of water for human consumption in the Maltese Islands started tenuously when man started digging shallow wells between 5000 and 3000 BC. 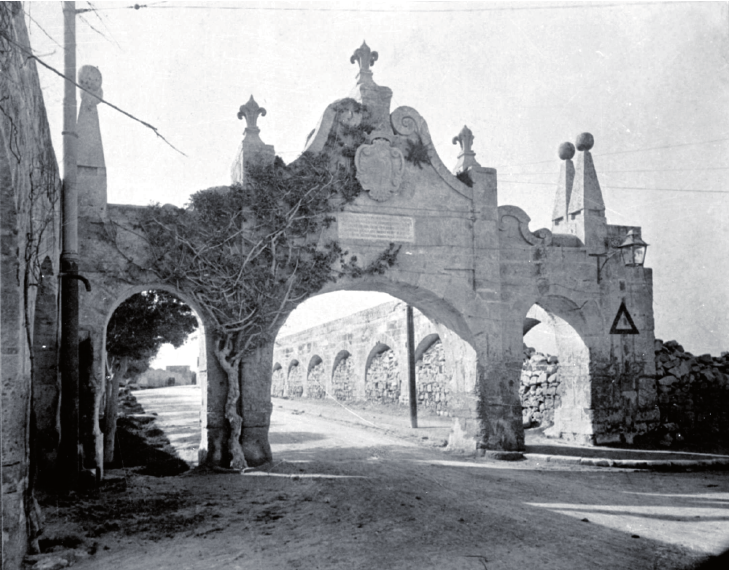 History is peppered with notable milestones such as the construction of the Wignacourt Aqueduct between 1610-1615. Many reservoirs were built and galleries dug over a period of 400 years and the first pumping stations started to appear in the late 19thCentury. During WWII a number of reservoirs as well as water mains were damaged by enemy action forcing the authorities to distribute water by means of tankers. In 1944 a serious water shortage meant that around 5 million gallons (22,700 cubic metres) of water per month had to be imported from Sicily by ship. In 1950 the first drilling started at the Ta’ Kandja underground gallery network. During the following years many water projects were undertaken to meet the demand of an ever-increasing population as well as the nascent tourism and industry sectors. By 1966 the first seawater multi-flash distillers were producing 20,430 cubic metres of water per day. In 1971 the first distiller in Gozo began producing 2,270 cubic metres per day. Throughout the 1970s an intense programme of drilling for water was embarked upon as the nation struggled to keep up with demand. In 1982 the first Reverse Osmosis plant was inaugurated in Ghar Lapsi. Other RO plants were built in Marsa, Tigne and Cirkewwa in 1982, 1983 and 1988 respectively. In 1991 the WSC’s showcase RO plant started operating. Today, one simply opens a tap and clean, safe water is always available upon demand. But as the above story shows us, this would not have been possible without the immense efforts of countless persons over many years. The Water Services Corporation has come a long way during its first twenty years. But however proud we may be of our achievements, we know that the years ahead will provide many more challenges to improve our services and products whilst impacting the environment as little as possible.